BONNIE, aged 3, has been quite beside herself with excitement this week as she knew there was a promise of a trip to see Peppa Pig. 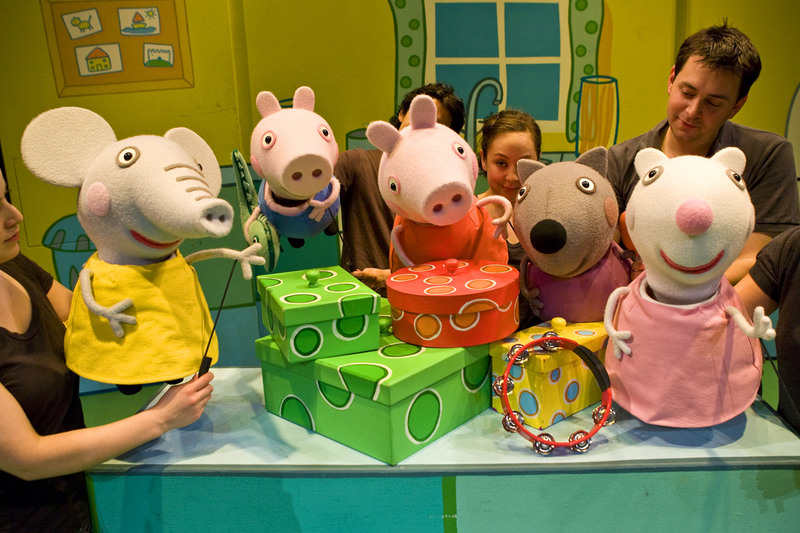 Peppa Pig’s Party is a touring show with live puppets of Peppa, George plus all their friends. Needless to say Northampton’s Derngate auditorium was packed to the rafters with excited under-fives. Bonnie was dumbstruck as the show opened and Susie Sheep appeared, talking to the audience, perched a-top a tent. But as the show progressed and the visible human puppeteers shared stage time with her cartoon heroes, she lost interest. The puppets are very impressive and the actors do their best to imitate the voices of the TV characters. There was singing and dancing, and George’s tantrum tears soaked a few rows of the audience, to much hilarity. But sadly there was little else of the familiar humour of the cartoon show in the stage script. The shrill voice of Peppa’s new human ‘friend’ Daisy made me wince throughout, and the whole affair seemed remarkably short. About an hour with a very long interval to buy merchandise? At £15.50 a ticket? A family ticket over £50? Not very good value for money, but not, I suspect, the fault of Derngate, as touring shows tend to set their own prices. We felt further mugged when we found it cost £7 for a light-up windmill (take your old one from the panto), £5 for a very cheap and flimsy programme filled with Peppa product adverts, and most shocking, £4 for a balloon. Yes, four pounds for a balloon! So, five shows in two days in a 2,000 seat theatre, at £15ish a head and a tenner per family for merchandise. . .well, you do the maths. It all sounds rather greedy, raking in parents’ cash off the back of Peppa Pig’s popularity, and yet there’s a lot better children’s theatre out there struggling to make ends meet. Sorry Peppa, but it was an expensive disappointment.